Are you suffering from acne? Would you like to have smooth skin? This article may be the answer that you are looking for. We will try to give you possible solutions to your acne problem without having to spend too much money. The good news is that you do not have to look very far to find an effective ointment that can help you get rid of acne. This is something that is all-natural so you can really trust that it will be safe for your skin and that you would not experience any side effects in the near future. Behold the lemon juice! This fruit based solution can be used solely or mixed with other ingredients that you can apply directly on your skin. Here are some of the major steps that you should fall below if you want to use lemon juice on the affected area. First, you should make sure that you have clean hands if ever you are going to use lemon juice. This way, you can use either your fingers, cotton balls or cotton swabs whenever you are applying lemon juice on your skin. If you mix the lemon juice with these ingredients, it will help you protect your skin while curing the acne. Specifically, you should mix &frac12; of the lemon juice with about a spoonful of egg whites or honey. After mixing, you should apply to mask on your face for about 20 minutes. This is much more effective for those people who have sensitive skin because using the lemon juice alone hurts. Some people may sleep with lemon juice on their faces but the mess that can be left after may be a big issue for most people. So, if you want to use lemon juice in the evenings it would help you to just place a tiny bit on your finger and apply it on the pimple itself. This way, you’ll be able to avoid having a mess on your bed. One may ask how lemon juice can help cure acne. This is because it has basic components that consist of nutrients that can help maintain a clear skin. It has citric acid and it’s extremely rich in vitamin C. It is a nutrient that has many benefits for the human skin. The citric acid will exfoliate your skin which is a very important step when treating acne. Aside from being an exfoliant, it can also serve as an astringent. Because of this, it can help speed up the drying of acne. Aside from this, it can also reduce the redness of your pimples as well as acne scars. It can also help as a temporary whitener for your skin. When of the greatest advantage of having to use lemon extract for your acne problems is that it does not cost much unlike over the counter medicine. Because of this, if it doesn’t work you will have not lost anything and you still could use it to make a lemon juice to ease your disappointment. Although there are many people who recommend this alternative form of treatment for acne, it is still not recommended by the medical community. It would still help for you to consult your dermatologist if you have skin problems such as acne. Do this before trying out any home remedies. Drinking lemon juice can also help treat acne. You can take this on its own or mixed with hot water. Honey can also be mixed with this as mentioned earlier. Lemon juice can help cleanse your system and thus clearing of your acne too. It can also help brighten your skin. You can drink either have or a whole lemon a day whenever you have a bad breakout. However, you should also be cautious while taking this remedy because lemon juice can be bad for your teeth especially when consumed in a regular basis. Since lemon juice is acidic, it would help to keep in mind that you should apply carefully because it can burn and irritate your skin because of the citric acid. Because of this, it can also leave some red marks on your skin. 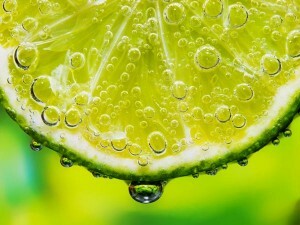 Lemon juice can also cause dry skin. It may be great for pimples but it can be very harmful to the skin. Using this with honey will counteract the acidic effects of lemon juice on your skin. It is preferable for you to use natural honey because of the antibacterial properties that the substance has. It can also help the healing process by making it faster. Aside from this, you can also use honey as a moisturizer. It would be recommended for you to use the real lemon instead of lemon juice if you want to get the best results. This is because the properties of lemon are most potent when not liquefied. If you ever have problems with acne or acne scars, lemon juice or the real lemon may just be the answer you are looking for. Aside from using lemon juice, you can also try the following recommendations for you to be able to get the best results when it comes to acne treatment. You should always make it a point to sleep early. This is because the regeneration of your skin hastens when you are at rest. Thus speeding up the healing of your acne as well. In addition, you can also drink lots of water which is also part of the cleansing process. It is very important that you are able to maintain discipline whenever you are undergoing treatment for any kind of condition. This applies especially for skin conditions because not been disciplined about the treatment can lead to exacerbating circumstances which can aggravate the condition and cause irreparable damage to your skin in the process. Do not hesitate to ask your dermatologist about any other alternative means of treatment for acne if you feel unsatisfied with using lemon juice. : Shan is a writer and a part time blogger who writes about different health related topics like genital warts and also women health related topic like hymen. When she’s not writing about fitness, she can be found using IT staff augmentation services to locate additional IT opportunities. I tried this. It makes your skin itch like crazy, but it works. I’ve tried it for a week and going to the second week, yes it stings at first but cools down. i see a difference, the scars are fading.